Mon 22 October 2018 19:00 – 20:30 IST, Room G.05 Western Gateway Building, University College Cork, Western Road, Cork, Ireland. Actually, the primary objective for all the speakers to be in Cork was for business purposes. Then, we realised that it is not often (In fact probably never before) that we have this calibre of blockchain intellect in Cork so we decided to capitalise on that and invite the Cork community for a deep dive into blockchain. The speakers here represent the front line of blockchain development from both a business and technical perspective. 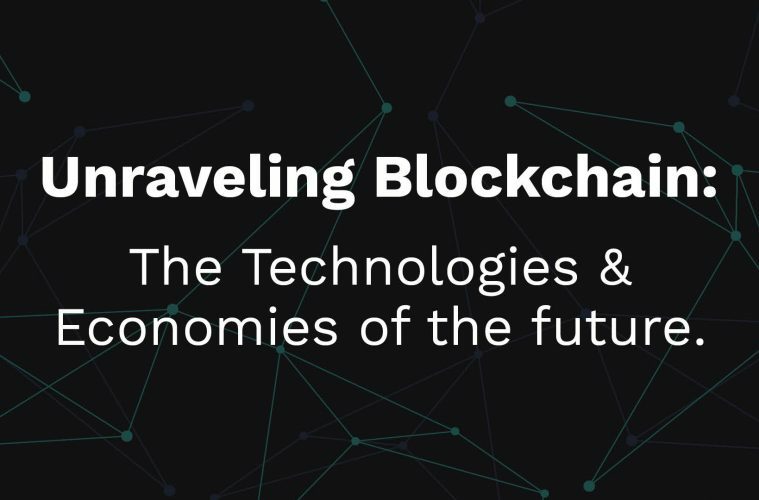 The industry leaders will give some key insights into the retrospective developments of the blockchain industry as well as their predictions on the direction the industry will take in the future. It will be an intimate, interactive session where you can expect to extract key information that will enable you to unravel blockchain and better position yourself to leverage the many opportunities created in the wake of this emerging technology. Blockchain speed is said to be quicker than light speed and organisations move fast, so if you want top class opportunities then bring your “A” game. If looking for career, research and project opportunities then this is where you need to be. Danny is the lead developer at TechSquad.io, a Cork based blockchain development company based in Cork which currently provides Bitcore software services to some of the market leaders in the blockchain space such as Slate.io, Wagerr.com, and Dash.org. After years of providing enterprise grade solutions to both the public and private sector he is now bringing this experience to the forefront of the technological curve that we now call blockchain. Adam has been working in the gaming industry for over 15 years. He launched his own game hosting company in 2005, and worked directly with Telecom companies to deliver a better user experience for multiplayer games worldwide. Adam has been in the Bitcoin space since 2011 and has been the chief strategist for ionomy.com since its inception in 2015. Adam specialises in designing economic models using blockchain to solve enterprise and humanitarian challenges. Jaak has a background in telematics and in philosophy. Since 2010 he has guided break-through innovations for a truly sustainable and scalable data-centric industry. In 2016 he enthusiastically joined the Provenstack team, to focus on the blockchain paradigm shift. He has since taken on the mantle of being their lead blockchain developer. With his technical background, programming skills and experience in public-private cooperation, Jaak combines a practical and a flexible approach to creating new opportunities for the world at large. Know what you want to get out of the event. If you know what your end goal/destination is in the long term then you will know what steps to take in the short term. – Do some research on the projects represented at the event as a better understanding will allow you extract more knowledge from the event. Tickets are free and available on Eventbrite here. There is huge appetite/demand for this event so better book ASAP. It’s very unique that we have such experienced blockchain developers / business developers in Cork and we should all be thinking about how to leverage this opportunity for the longer term. I can’t stress how technical and blockchain savvy these speakers are.